With a few days left until Christmas, the start of Kwanzaa and a new year around the corner, one of the best places to look for last minute stocking stuffers and goodies is the bookstore. In a sea of tech toys and games, books are the gifts that keep on giving. 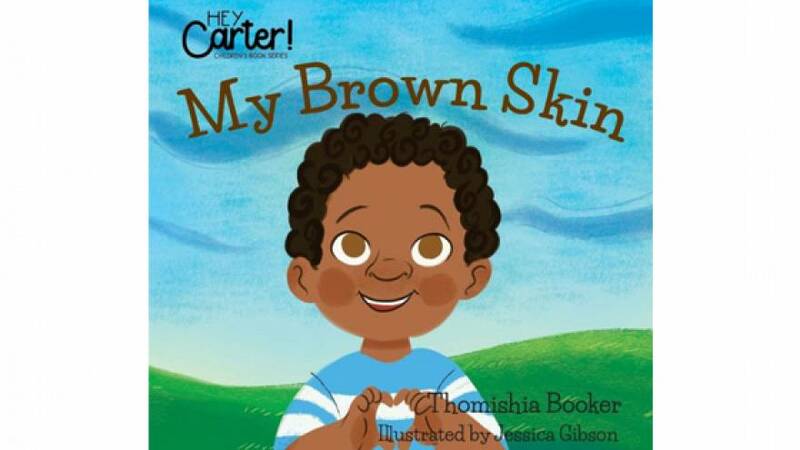 Here are some great children's books by black authors that will inspire young readers. This is a great series of books for young readers that is full of fun and self-esteem. You'll love reading this book to and with your children. Each book reinforces loving the skin you're in. So there are lots of holiday teachable moments. "I'm A Pretty Little Black Girl!" by author and actress Betty K. Bynum, is another book that fosters love of self, and the many beautiful shades that black girls come in. It weaves a colorful tale of friendship and self-awareness. Part of "The I Am A Girl Collection," It's a perfect gift for the pretty little girls in your life. "Early Sunday Morning" is perfect for the holidays and beyond. It is all about love and treasuring family as seen through their weekend routine. The illustrations are as striking as the story. Expect your little ones to want to read it again and again. We all know the barbershop is one of the hubs of the community. This book by children's books author Derrick Barnes follows the tradition of sitting in the barber chair and getting a fresh cut. It's the perfect book to read and discuss how we present ourselves and how we interact with others. It's a great book about the importance of the barbershop for young readers. Award-winning illustrator Bryan Collier brings beautiful images to a classic poem written by poet Useni Eugene Perkins. Like many of the selections, this book is all about pride in self and putting dreams into words. This picture book of iconic images of former President Barack Obama by former Chief Official White House Photographer Pete Souza is written for young readers and encourages them to dream big. It is a great keepsake and American history book for kids and families. If you want your young reader to have some insight into the role that black women played in the history of this country, this is the perfect gift. It features women such as Sojourner Truth, Bessie Coleman, chemist Alice Ball, and Shirley Chisholm. It's also one you will want to have in your family library. An artistic picture and story book on the life and journey of civil rights pioneer Harriet Tubman, this book is a biography of the woman who is best known as the Conductor of the Underground Railroad, who ushered hundreds to freedom. "Calling My Name" is a coming-of age story of a black girl named Taja Brown, who grows up in Houston, Texas. Taja's story takes the reader from middle school to high school in an insightful and emotional tale of finding your way. In this New York Times best-seller by Angie Thomas, 16-year-old Starr Carter is juggling the life she lives at a prep school and the life she lives with her family in a poor neighborhood. The story turns on its ear when a tragic shooting occurs in the old neighborhood.